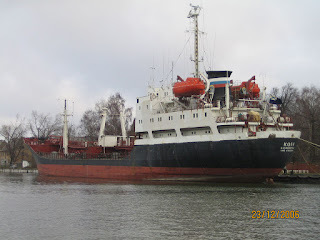 Sometime last year I became interested in the Russian Naval Auxiliary ship Kola. ( Likely in part due to Tom in Lincolnshire, UK SoundCloud / Twitter ) The Kola is an oiler; a floating gas station for the Russian Navy. As I don't have my own spy satellite constellation (YET! ), and the Russian Navy uses very loose terms for their deployment areas, I'm keeping an eye on a few ships of interest (like the Kola) to see where they operate, as they indicate larger operations. An oiler... oils! Well, more accurately, it ships marine diesel to ships at sea, and does alongside replenishment. If there's an oiler, there's at least one bigger boat around that's thirsty. Most recently the Kola returned from a Mediterranean deployment with the Russian Navy's Baltic Fleet Neustrashimyy-class (Неустрашимый) frigate RFS Yaroslav Mudry (СКР Ярослав Мудрый). The Yaroslav Mudry is the most modern Russian Navy Frigate in the fleet, being commissioned in 2009. I'd written this up last year and noticed I hadn't published it as it wasn't complete, but I should put it out there in case someone else finds the partial information helpful. Built in 1949, Site Charlie was a National Stockpile Site (NSS) with all the above ground supporting buildings for that mission. Building types are my best guesses; I couldn't identify them all. I don't know where the portal is to building 7740, but need to re-review the PDF below for additional hints and labels for the buildings. 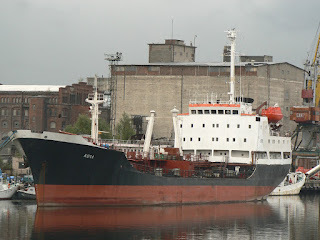 Fotiy Krylov (Фотий Крылов) docks in Corinto, with a friend? Following up on my last post about this interesting tug, the Fotiy Krylov (IMO 8613346 / MMSI 273441150) showed up at 2015-08-05 00:38Z at the Port of Corinto, Nicaragua. The Port of Corinto is classified as a small port in the Northern Pacific, and has considerable warehousing and rail links to move cargo to/from the port. 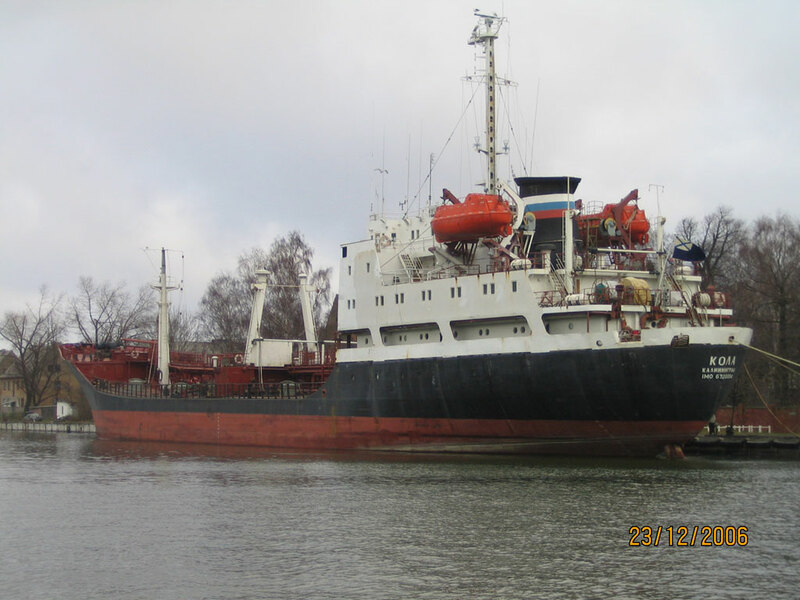 Well, the Fotiy Krylov doesn't usually travel alone, but as a tug she usually has her AIS beacon on, unlike spy-ships or other ships of war. So, who's she travelling with this time? 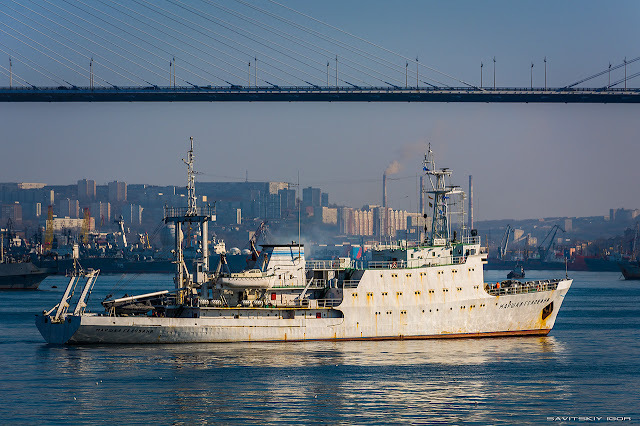 Rumour has it she's with the Project 862/II Marshal Gelovani (NATO: Yug Class) Hydrographic survey vessel. I can't find an IMO or MMSI for her, just a reference to 906O. I also found reference that she is an AGE: General Purpose Experimental Ship (AGE = Auxiliary General Experimental). I wonder if she's experimenting with something, and what they're up to? The only thing I know that's going on in Nicaragua is the new canal which is being bankrolled by the Chinese, which is going to erode the American-controlled Panama canal's monopoly. Just today they announced potential changes to the Pacific entry of the canal. Are the Russians helping with oceanographic surveying? Are they experimenting with new sonar? Nicaragua is an ally of Russia, so any number of other projects could be going on, or they could have just stopped for some fuel and cigars. I really don't know. 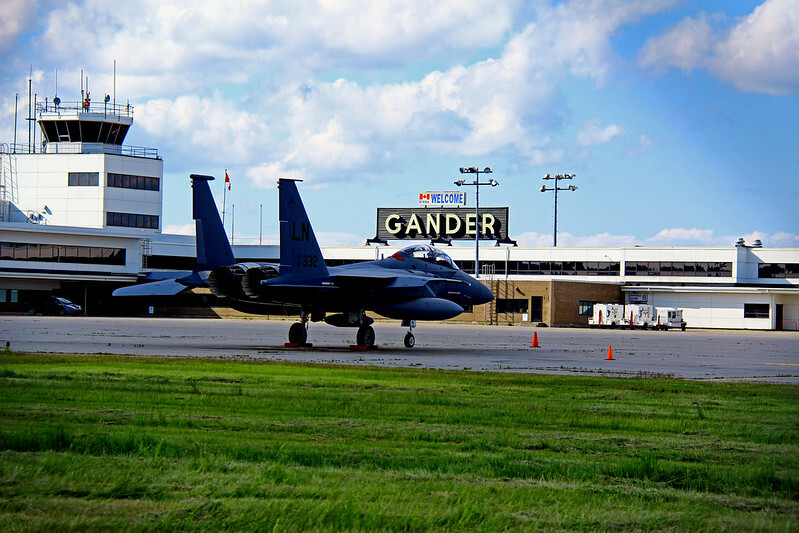 USAF F-15E Strike Eagles hanging out in Gander, Newfoundland? I'm not sure what the story is here, so I'm putting it out on the Internet to see if someone can fill in the blanks. 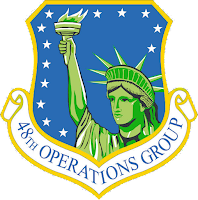 It seems on June 4th 2015 three USAF McDonnell Douglas F-15E Strike Eagles from RAF Lakenheath landed at Gander International Airport (CYQX) with a Boeing KC-135 Stratotanker. At the time there was a rumour of an in-flight emergency, but I can't find any details. There is also a rumour they were on their way to Iraq and/or the Azores (on their way to Iraq I guess? ), but they're still there, as of last week. The tail numbers of the planes are 98-0134, 91-0605 and 91-0332. However, the tail also usually has a red or blue stripe along the top indicating their squadron, and the squadron number was painted on the tail as early as last year (ref: http://www.f-15e.info/joomla/operators/134-tailcodes#0-7-ln ) What does the lack of squadron number mean? Are these being decommissioned, or redistributed to another base? Either way, why keep the LN while in transit..?